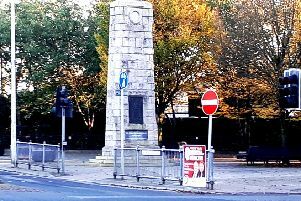 This is the second year in a row that Sinn Fein has erected political posters in the vicinity of the cenotaph in Omagh. 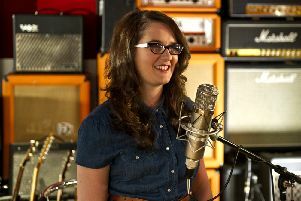 Tyrone folk: Action Cancer needs you! Did you know that the latest cancer statistics have revealed that there were on average 8,928 cases of cancer diagnosed in Northern Ireland, and of that figure 772 were from Co. Tyrone? CHEF Gary Nicholls has a simple plan - to make the Fort the best pub eaterie in Dungannon town. 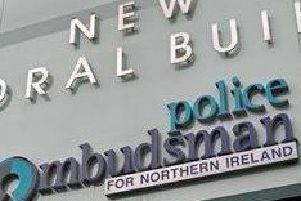 TWO men arrested in Coalisland as part of a cross-Border operation by gardaí and PSNI officers investigating the 2008 pork contamination have been released without charge. HUNDREDS of trees sheltering endangered wildlife such as long-eared owls and badgers have been felled along the Coalisland Canal. Four people have been arrested and a quantity of drugs seized in Coalisland. A POLISH national has been shot and stabbed during an attack at Lineside, Coalisland, on Sunday night. BUSINESS people, residents and canal enthusiasts concerned about the implications of a planning application for a new supermarket in Coalisland, have met to examine the proposal in detail. POLICE in Dungannon are awaiting forensic results after a car was discovered ablaze on Farlough Road in the early hours of Sunday. LEAKING sewage, exposed water pipes, untarred roads, mounds of rubble and abandoned houses - it's a far cry from the ideal family homes that were initially advertised to the residents of Gortview, Coalisland. A COALISLAND mother has told how she is afraid to let her children outside to play because of the dangers posed by speeding motorists and large goods lorries driving through the small housing development. PEOPLE living close to a proposed new supermarket in Coalisland say they are in fear of losing their homes after work began to clear the site of the ambitious retail outlet. FEARS have been raised that the local property market could deteriorate further with plans to charge rates on empty houses from next year.